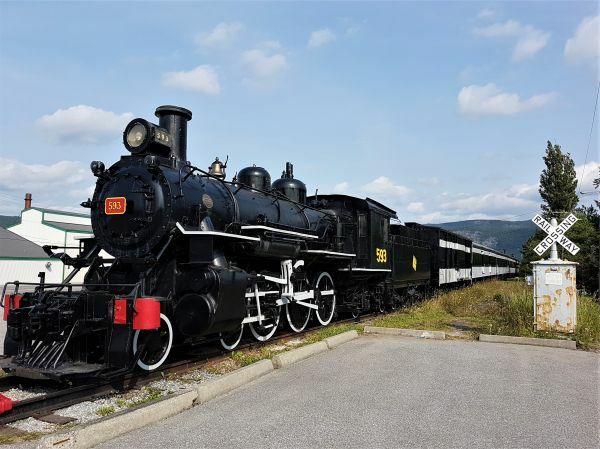 The Railway Society of Newfoundland was created in 1987 when Baldwin Steam Locomotive #593, "Newfie Bullet", was removed from Bowater’s Park to the Historic Train Site at Humbermouth, Newfoundland. The Railway Society of Newfoundland has accumulated the rolling stock, trackage, freight shed and site. Artifacts also include telegraph instruments, train order sophomore signal board, train orders, phones and historic photos. Annual pass/adults: $3, children: free.